It’s Alaskan King crab season! Sewage smells aside (which I promise dissolved away quickly), the food was tasty! Prior to cooking our family had chosen which king crab we’d like and the shellfish was brought live to our table. The first dish was breaded, garlic, pan-fried king crab with diced jalepeno peppers. 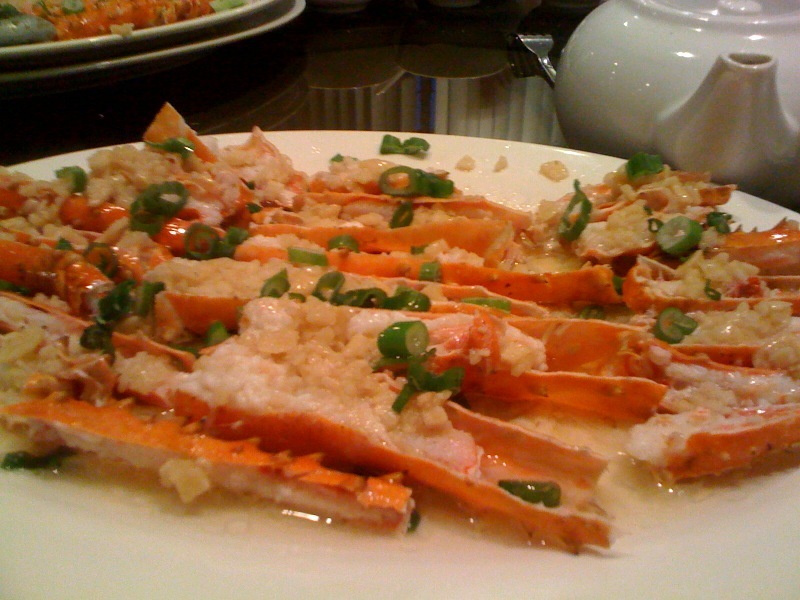 Our second dish of king crab was steamed with garlic – very basic and very yummy. Our complete dinner meal composed not only of a whole Alaskan king crab, but dow mui (greens), noodles, & garlic spear ribs. To complete the full chinese meal – mango bo-deen (mango pudding). 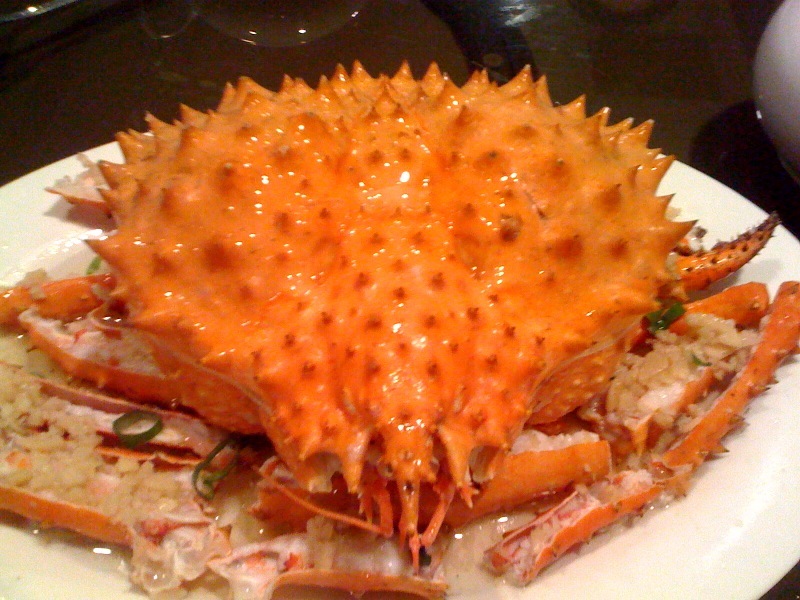 WOW king crab?? That’s like over $100 here in the US!